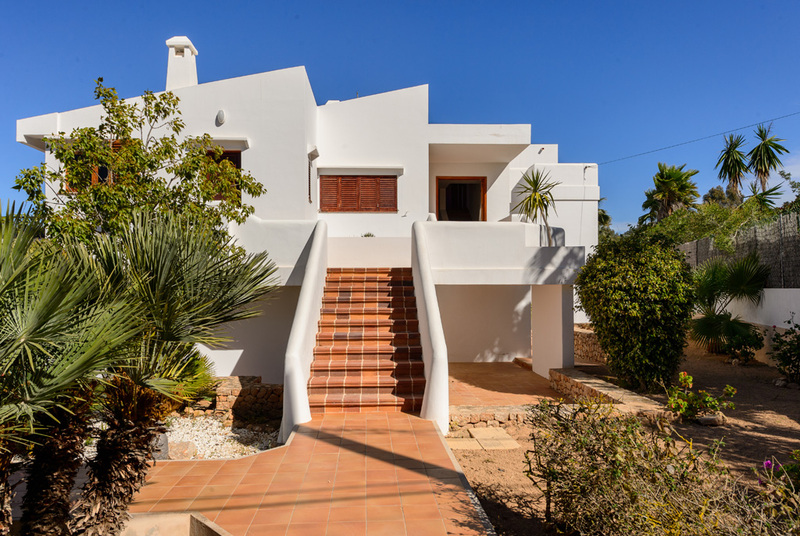 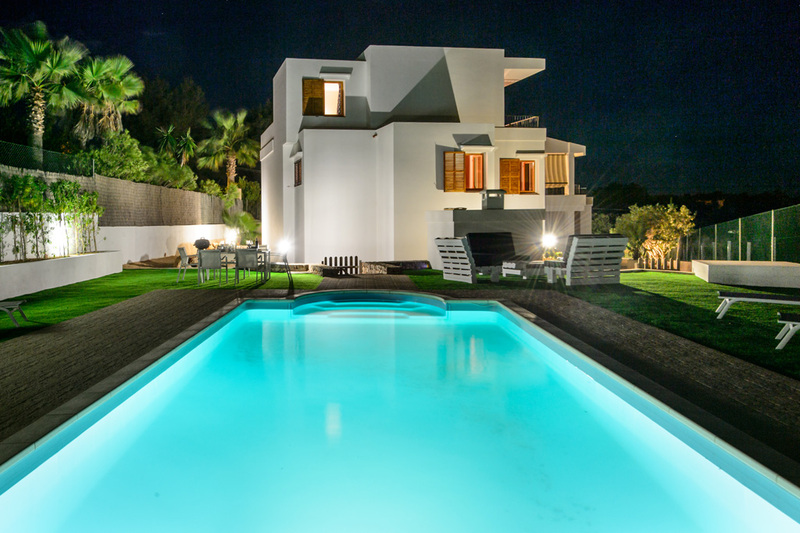 This nice villa in Ibiza is located in one of the best areas of the island, Can Pep Simo, an upmarket residential zone a few kilometers from Ibiza town, Marina Botafoch and Talamanca beach. 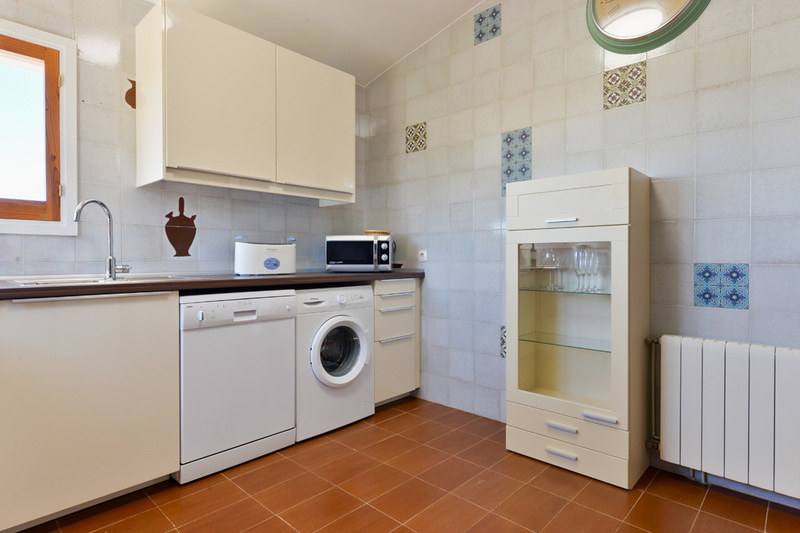 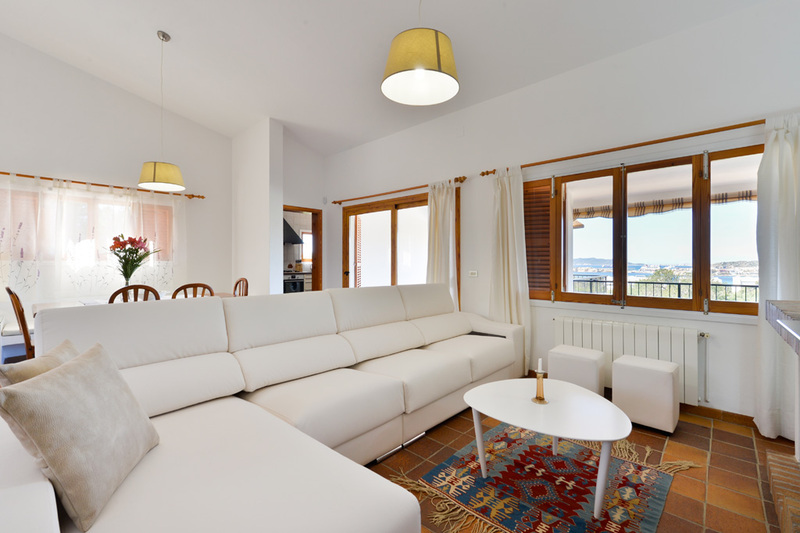 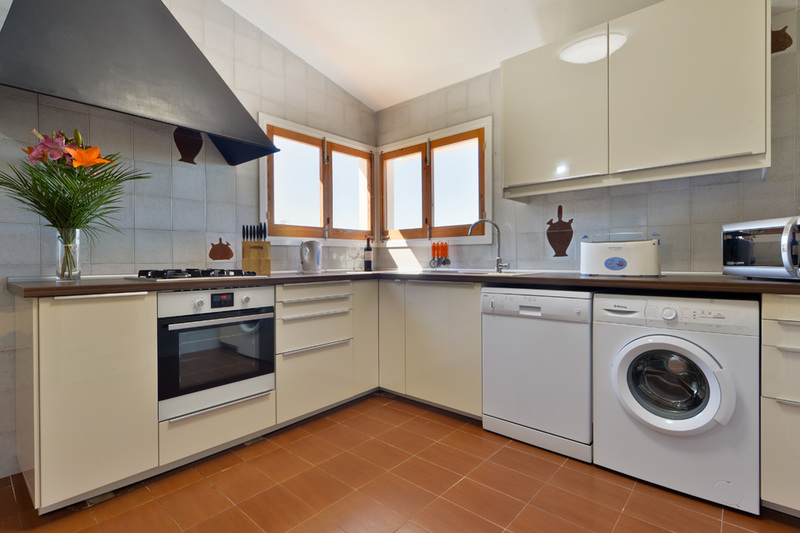 There is a renovated and fully equipped kitchen on the ground floor, a dining room for 8 people, TV, fireplace, access to the terrace with a sofa where you can relax and enjoy the sea view. 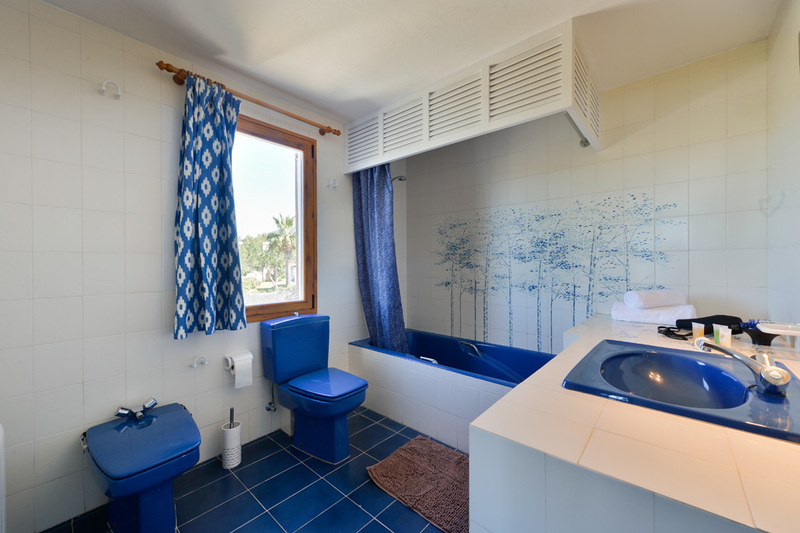 By the stairs going to up floor with 2 bedrooms with double beds and one bedroom with twin beds, sharing a bathroom with shower. 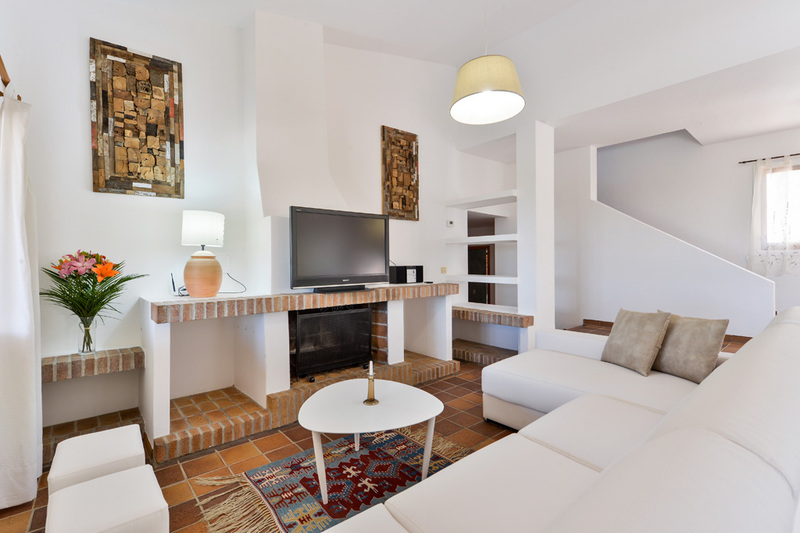 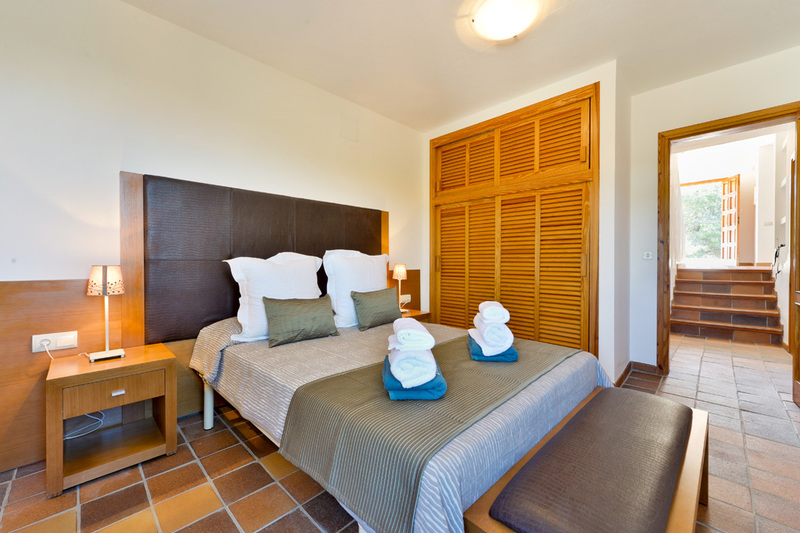 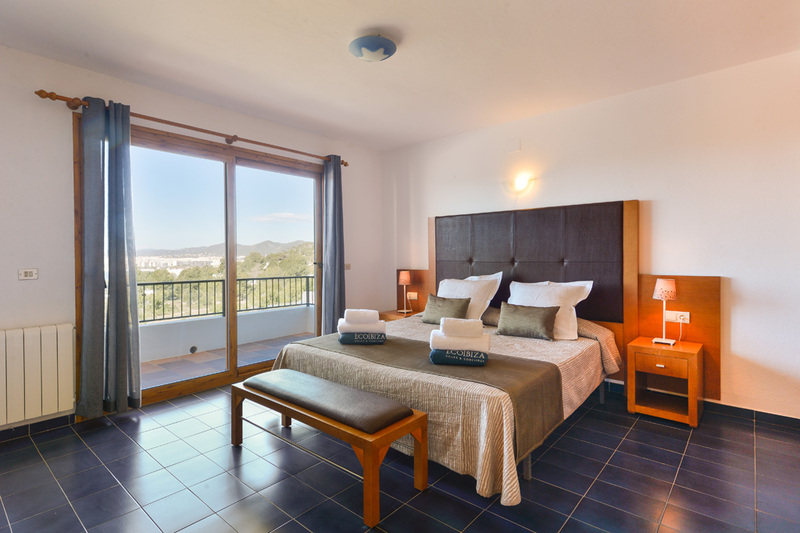 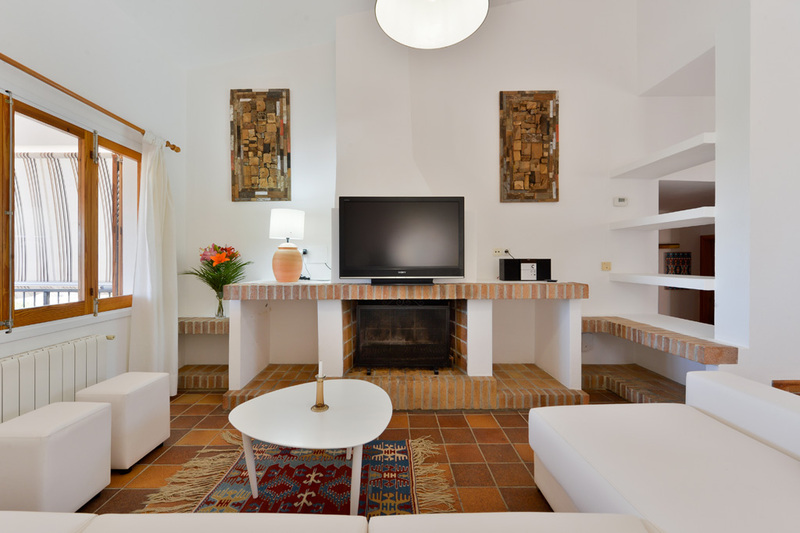 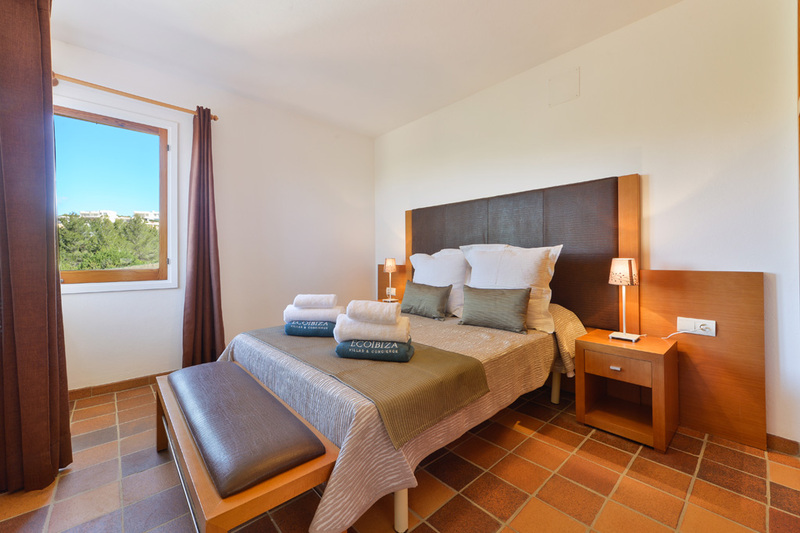 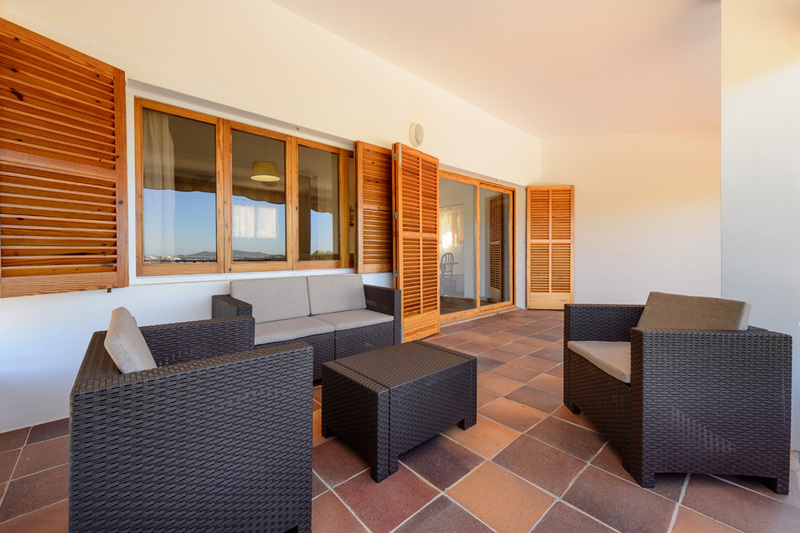 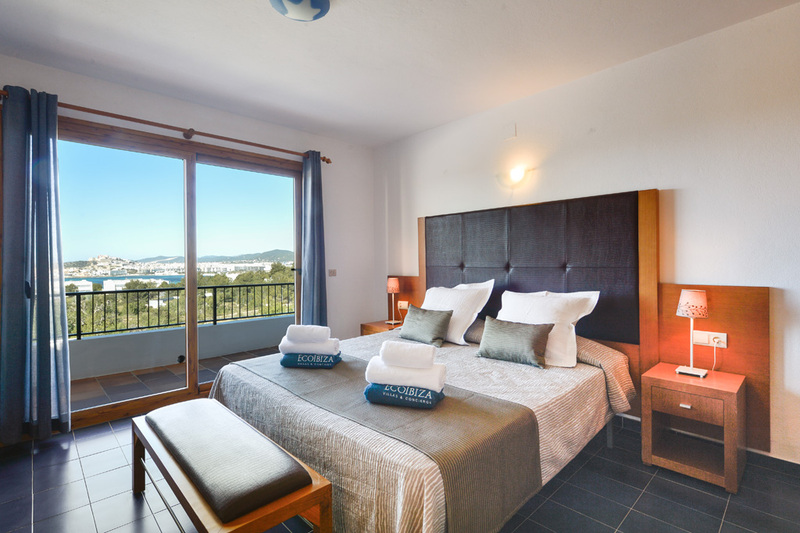 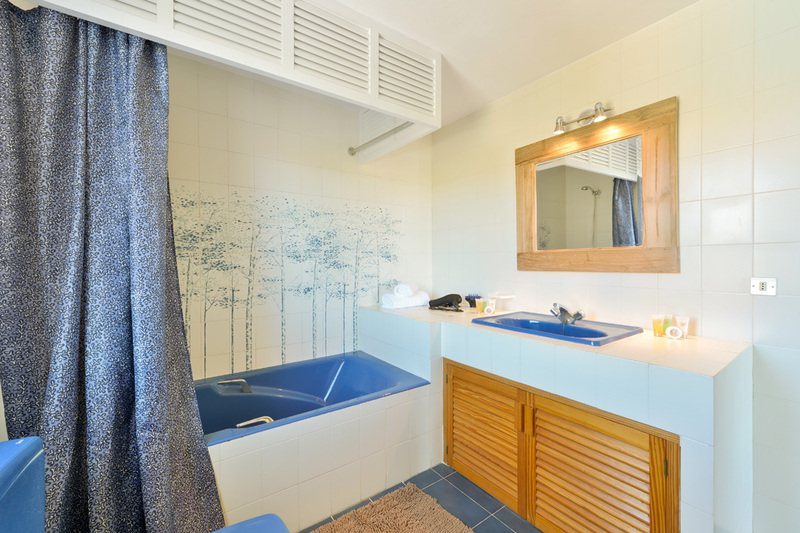 Upstairs there is another double bedroom, one bathroom in suite with beautiful terrace, sun loungers and views of the sea and to Ibiza castle. 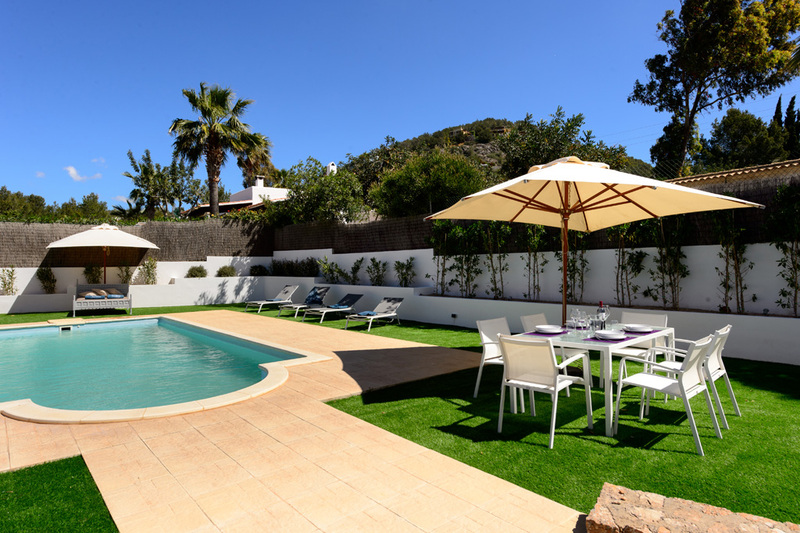 Outside there is a 7x4,5 meters of swimming pool surrounded by artificial lawn, umbrellas and chill-out area. 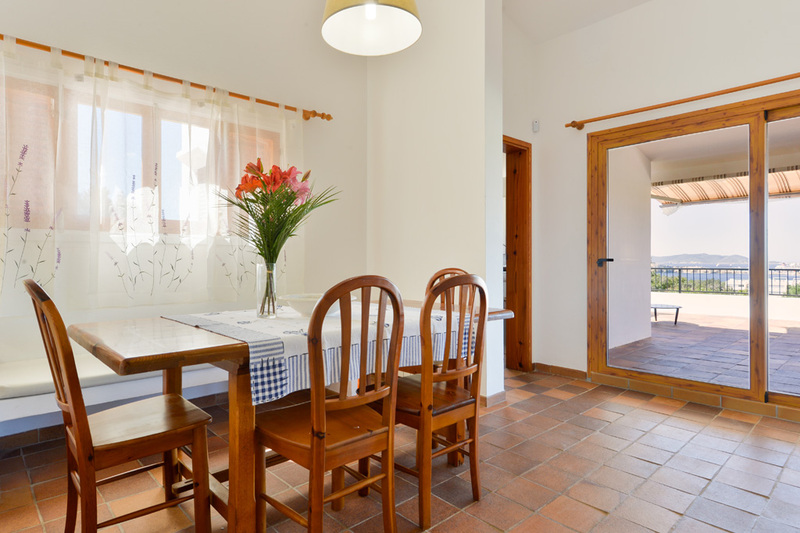 Dining area outside too with seating 8 people and portable barbecue.